After eight years of asking, David’s life- long dream finally came true. 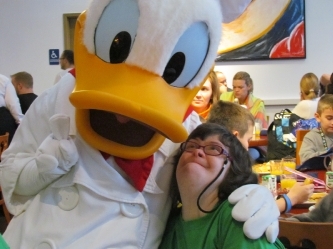 David has been asking for a vacation to Florida to visit Walt Disney World and Mickey. Finally, Cindy listened to David and began the process of helping David’s dream come true. 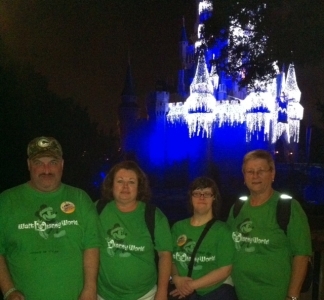 David invited Michelle to come along and Cindy and Wanda, who are GARC staff member’s planned the trip with a full itinerary of visiting the four theme parks and a special invitation of Mickey’s Very Merry Christmas Party and Breakfast with Mickey too. David will always be a dreamer. He now is dreaming of a cruise……….A Disney cruise at that!